Saint Benedict says that the name of abbot is received; it is not taken. The abbot is named so by his sons who, in faith, see Christ in him. The reverence shown in naming the abbot and the signs of respect paid him go to Christ. Such things foster a profound spirit of faith in the abbot and in the brethren. The authentic monastic spirit is endangered when, the abbot and brethren, fall into a superficial way of seeing, acting, and relating. The authentic monastic spirit, however, thrives when the abbot and brethren see all in the light of faith, and when their way of acting and relating to one another is ordered by the seven gifts of the Holy Ghost. A monastery is not a merely human institution, nor is it an enterprise built up and operated according to the criteria of the world. 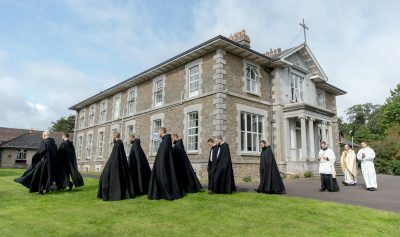 A monastery is a manifestation of the living Body of Christ; it is a Eucharistic organism, vivified by the Holy Ghost, in which we, who partake daily of the one Body of the Lord, are joined to one another, member to member, and to Christ our Head, becoming with Him one single oblation to the Father. The Apostle says, “Now you are the body of Christ, and members of member”. Vos autem estis corpus Christi, et membra de membro (1 Corinthians 12:27). 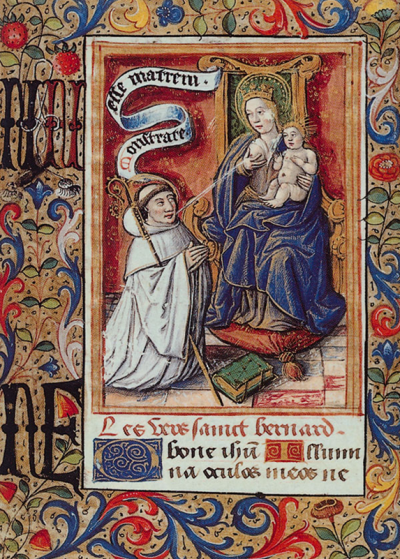 Blessed Schuster often speaks of the courtesy and refinement of manners that ought to characterize a Benedictine monk; these qualities are an expression of reverence for the Body of Christ. If Saint Benedict says that even the vessels and goods of the Monastery are to be treated as the consecrated vessels of the altar (Chapter XXXI), with how much greater reverence ought we treat one another, who are temples of the Holy Ghost? The abbot, true to the name given him, does not govern the monastery as a kind of executive administrator; Christ is the beginning and end of all that he teaches and does. The more an abbot is called upon to teach, the more must he make time and space in his life for silence before the Face of Christ. The more he is called upon to act, the more must he go humbly before Our Lord and, there, wait to be acted upon. The more he is obliged to meet with his sons and listen to their thoughts, the more must he go, like Moses to the Tent of Meeting. Herein lies the secret of a wise and fruitful government. It is a good thing when the community sees the back of the abbot, that is, when they see him going to Our Lord, as Moses went into the tabernacle, to speak to Him on their behalf. I am learning, more and more, that the surest way to go to Our Lord is to direct my steps to His Immaculate Mother, the Tabernacle of the Most High. The hymn of the Acathist makes us sing: “Hail! tabernacle of God and the Word. Hail! holy beyond all holy ones. Hail! ark gilded by the Holy Ghost. Hail! unfailing treasure-house of life”. The abbot who has given himself, his monastery, and each of his sons to the Blessed Virgin Mary, and who exercises his office in filial dependence on her, will find that problems are more easily solved; that troubles are more quickly calmed; and that things thought impossible become possible. The authentic monastic spirit is safeguarded by eschewing all that is worldly. The abbot is the first guardian of the enclosure of the monastery. He is the shepherd who must, at all times, be watchful lest wolves enter the enclosure, and wreak devastation upon his flock. What are these wolves? It is necessary that the abbot appoint a trusted Father to watch over the books and reviews made available in the library. The abbot, while trusting his monks, ought nonetheless to be aware of their correspondence and use of the internet. Mindful of the word of the Psalmist — “Set a watch, O Lord, before my mouth: and a door round about my lips” (Psalm 140:3) — he needs to be attentive to any contacts of his monks with the world.